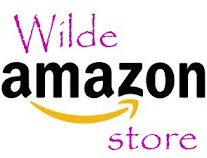 Wilde in the Kitchen: What day is it? So, apparently it's Friday, although I woke up thinking it was Thursday. This is crazy because last night I watch Community (amazing show, go set your DVR) and Community is on Thursday nights! I must have forgotten this fact as soon as the show was over, because I neglected to write a post for you today! Here's the plan. Today I'll take care of some blogging business, then tomorrow I'll send out a new amazing recipe (it really is good!). Sound good? Well, let's get down to business! The Mom Chef - She is currently cooking her way through Cooking Light Magazine, it's so much fun! Fit Foodista - She has some pretty amazing recipes and they're healthy too! Big Fat Baker - The desserts being posted on this blog are droolworthy! Amy Bakes Everything - One word - hilarious. I love reading every post. Cookbook Archaeology - Loving following along on her journey of curing meat :) So jealous of her summer in Pompeii! Little Kitchen on the Prairie - Great looking recipes and stories written from the heart, love her! 2. I've been making a lot of candy recently, my kitchen floor is getting very sticky. 3. I will wear my winter coat until the temperature rises above 55 degrees. 4. I am excellent at navigating, I do not own a GPS. 5. I secretly compete with the people on the treadmills next to me. I must outrun them! 6. My car is gold and it's adorable, no matter what anyone else says. 7. My apartment is so small, I didn't have to turn on the heat once this winter. Remember, I live in CT.
Now wasn't that fun? Some very useful facts about me! 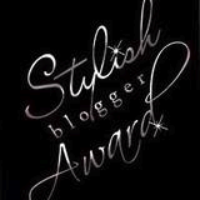 Thirdly, I've got to pass this award along to some well-deserving bloggers! I've recently discovered so many fun new blogs, here are a few, go check them out! Delicious Inspiration - Some amazing desserts from a girl in my home town! Honey and Soy - I wish my macarons were as beautiful as these! Ingredients of a 20 something - A girl with a cupcake addiction to rival my own! There we are! Some of my new faves! On another note, have you ever wondered where I got that pie plate, my cake stand, that handy dandy tool? Check out the link on the right, you'll find all of my favorite tools, equipment and foods!